In America's not too distant future, former economically depressed cities and neighborhoods will be lined with (white) Airbnb's, (white) liberal cafe's and (white) people crowdfunding startups. In this future-scape, gentrification won't be a thing but a chicken wing; locals moving down the block - or several blocks - will be standard migration practices, as "opportunities" turn into serving the needs of those who took it all from a culture/community they'll never truly appropriate. This is a sci-non-fi tragi-comedy of grand complexity. This is Bliindspotting. Set in an Oakland of today, Collin and Miles are two lifelong friends and area residents, breathing and bleeding their surroundings with equal parts pride and heartbreak. They see, throughout their daily moving company routines, the ever-changing look and feel of the city. Before we get to know them, the movie opens on a brilliantly edited/juxtaposed montage of split screen city footage, showing on one side the established community, the other side with changes occurring from graffiti cleanup at best to people losing their homes at worst. Sometimes the images are drastically different, sometimes they swap sides and sometimes they blur. This is the Oakland atmosphere for the sake of the film, our understanding of the story and the reality of many places across the country. Collin and Miles - Miles specifically - call all of this out in amusing yet increasingly hostile/frustrating ways. Collin is a soon to be off probation African American. Miles is white and a little nutty. While they may be good friends and almost brotherly to one another, there is still an unspoken rift between them. This rift, the focus of the film, is the divide between people - economical and cultural, sure, but really boils down to racial, the factor beneath all factors. Blindspotting deals with this in both organically comical and striking dramatic ways. All is fun at first until you peer a bit more closely. Jokes are made about a white cop shooting an unarmed black man to death in front of Collin, but it slowly haunts us (and him) as the film develops, becoming more of a problem and less of an "it just happens" kind of thing. Jokes are made about the white gentrifiers until a party is thrown and revelations are made that make everyone uneasy about their new digs. Jokes into contemplation. Damn. We see Oakland in mid-transformation, with restaurants and other businesses beginning to cater to the whims and wants of its new citizens, who find the area "charming" and relate to it only the way an insecure poser would. These new amenities, like food delivery apps and other services, serve three functions here; to make "at home" those who'll bring money to the area, to keep them at arm's length or beyond from the community they're harming and to force a state of servitude and acceptance to these "transplants". Blindspotting nails the inherent problems in this scenario without flatly pointing them out - it's left to the viewers to observe and report. Someone must be pulling the strings on the populace, but if so, how do those at street level deal with it all? What Paul Haggis tried to do with Crash, Blindspotting does and puts the Best Picture winner to shame while doing it. As things come to a head (and they do, greatly), we feel the tension between and around the characters. A bomb of emotions, ready to go off at any point. Maybe it needs to be detonated. The science here is in the socio-economic playground of Oakland and its people. It's non-fiction because it feels real and of the next moment, just ahead. And jokes go hand in hand, believe it or not, with intense human drama and thematic tragedy. 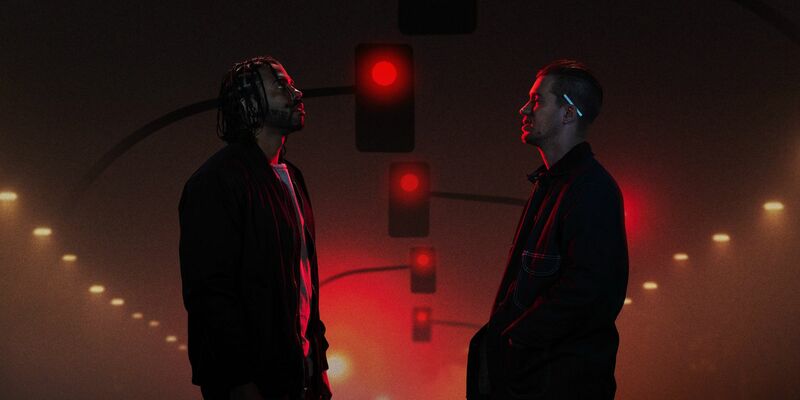 This is Blindspotting, and it could be the best movie of the year. While recent releases Sorry to Bother You and BlacKkKlansman deal in race to different degrees - absurd/surreal and fiery/incendiary respectively - neither feel as tragically grounded or anxiously today as Blindspotting. Maybe it's the comfortable, confident and lived-in friendship of Collin and Miles, maybe it's the naturally satirical world they live in or maybe it's the ripped from outside our windows version of life we see unfold every day that makes this movie as comforting, as dramatic and as warm as it can get. BlacKkKlansman is marketed as "fo real", to which I'd counter with "reel-y real". That's an auteur's accomplishment, certainly. Sorry to Bother You is "sur-real", being a vision and expression than anything. Blindspotting is just "real", period. It may have left New Orleans theaters already, so catch it on VOD streaming soon!